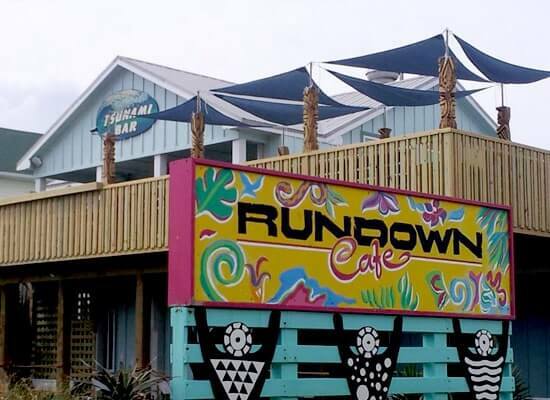 Rundown Cafe Kitty Hawk, NC – The conception of the Rundown Cafe began in early 1993. 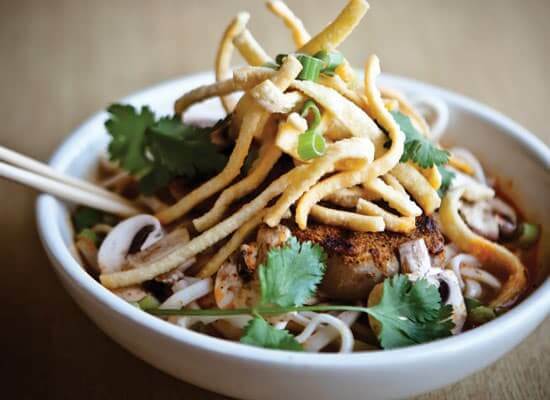 An idea born from tropical travel adventures and a love for like cuisine. Much of the world visited then by our team was the Caribbean. A Jamaican soup that became a serious favorite was duplicated and imported along with the name, “The Rundown”…….”Because Mon, it run down so goooood”. The name stuck as did the recipe, and to this day the soup by the same recipe is our namesake. Over the years, we have collected many favorites as we visited the Pacific rim islands and countries. 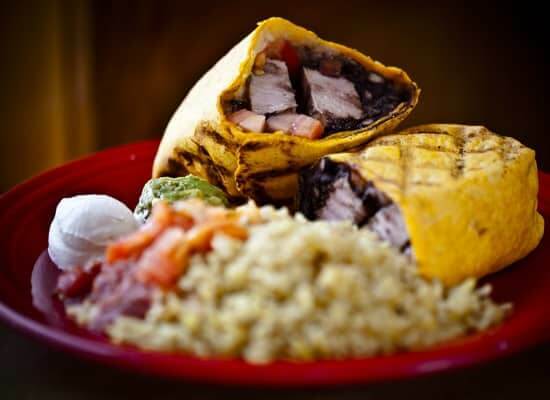 With this type of concept, our recipes developed over the years into the eclectic blend of Pacific Rim and Caribbean fusion that represents our menu. 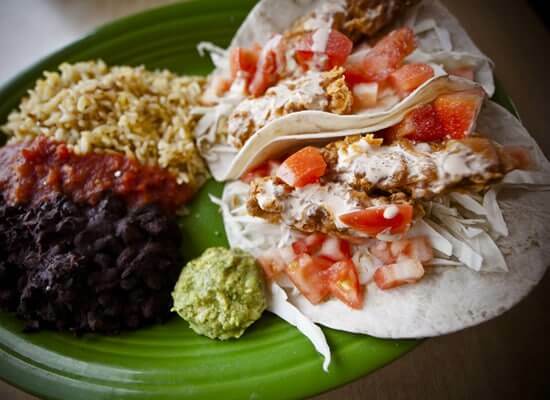 We just like to call it “Island Food” Simple, fresh, and hearty. 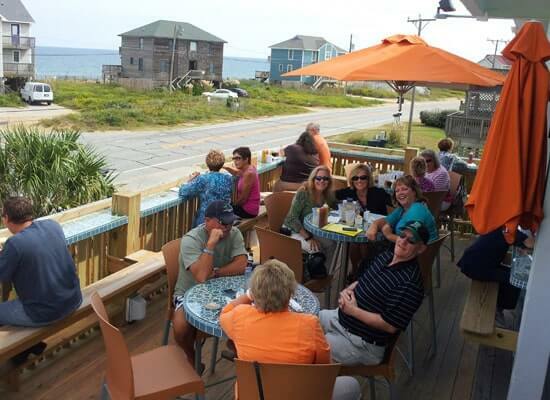 Outer Banks, Kitty Hawk restaurant – Rundown Cafe. At the Tsunami Bar, you can order every tropical elixir that can be dreamt, 5 draft beers, and order from our extensive menu while you dine alfresco gazing upon the sea. 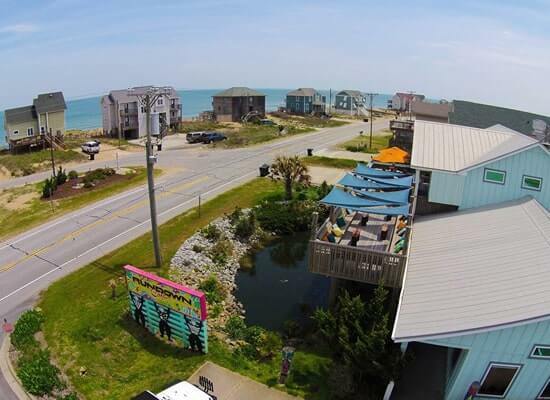 Surfing and kiteboarding videos is a usual distraction that can always be found on one of our flat screen TVs. In the Tsunami Bar, you can find all that the islands have to offer except the sand.